When starting a new business, it can be hard to focus on what tools and assets you will need to build and market your brand. Here we will go through some of the startup essentials that you should consider. You don’t need to have all of these in place right off the mark – they can be built up in time! The essentials to your business will also depend on what type of business you have, and what products/services you offer. The first thing that every business needs is a name, and a service or product. Once you have a business name, we would suggest checking that it is available as a domain name and securing it, as you may choose to have a website built at some point. Every business needs a logo to represent their brand. Your logo can be as simple as something text based, using a font suitable to your niche, or it can be a little more fancy. The most important thing is that it is recognisable and communicates what your business does. 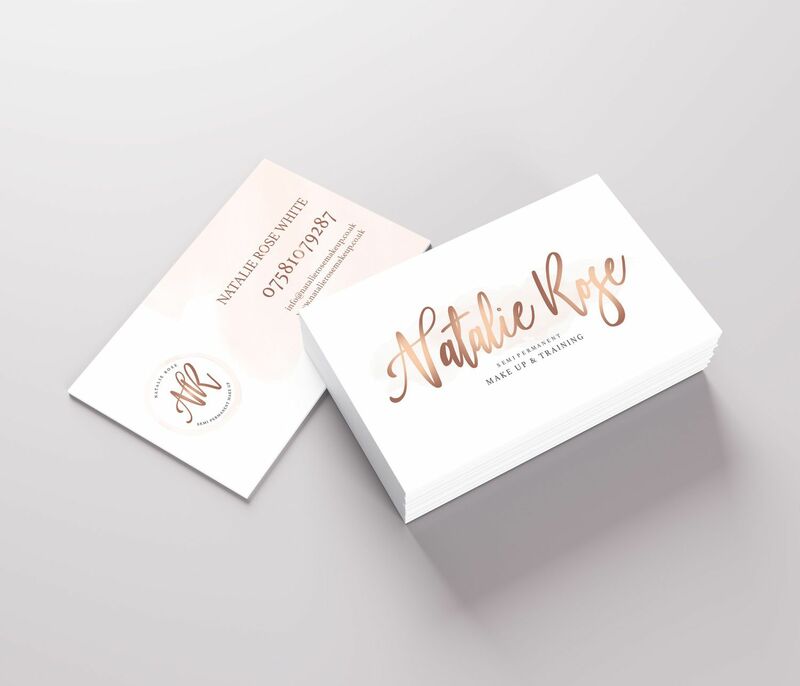 Business cards are great to give out to people you meet out and about or at networking events, as they contain all of the basic information that anyone might need to be able to contact you or find out more about your business. As well as your logo, you can include your contact number(s), website address, email address, social media accounts, office address and fax number. 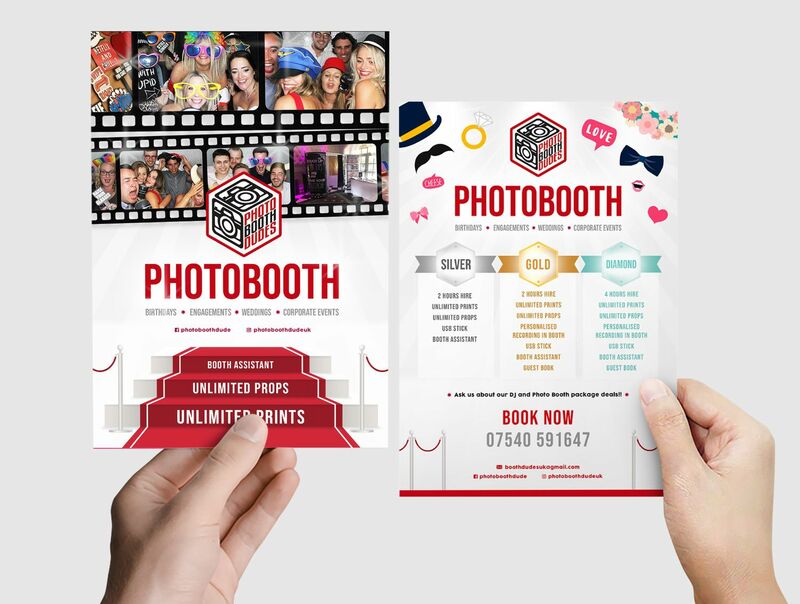 Flyers are a traditionally successful way to promote a business, product or event. You may only need a small batch to start with, but they are great for leaving in coffee shops, pubs and anywhere that has a waiting area. Most businesses do have a website, even if it is just one page, but some companies choose not to. There are lots of pros to having a website. Having a website means you can be found by more potential customers conducting internet searches for the product/service which you provide. It’s also a source of direct information which is shareable across other platforms. Social media can be a great way of connecting with your business’s audience. Some people think it’s important to be on every social media platform out there, but we disagree. We’d suggest starting with just one or perhaps two that you are comfortable with. There’s also not a lot of point in being present on a social platform if your audience isn’t on it too! So make sure you’ve done your research and you know where your target market are hanging out online. Facebook and Instagram are the most popular options for businesses as you can connect with your audience and run adverts, and on Instagram you can even directly sell products. Remember to make sure your branding is consistent across your social media channels. If you sell physical products, you may well need branded packaging! Your products may not need protective packaging but designed boxes and carrier bags will help your business stand out. If your business runs from a shop, studio, office or warehouse, you may want signage to put up outside. This can help people to find you when they come to visit you, and also advertise your business to passers by. Like with signage, displaying your logo, contact number and website on your car or van means your vehicle doubles as a moving billboard advertising your business wherever you go. If you don’t go for full vehicle graphics, just a rear window sticker can do the same job (also this will only really be readable by traffic behind you). 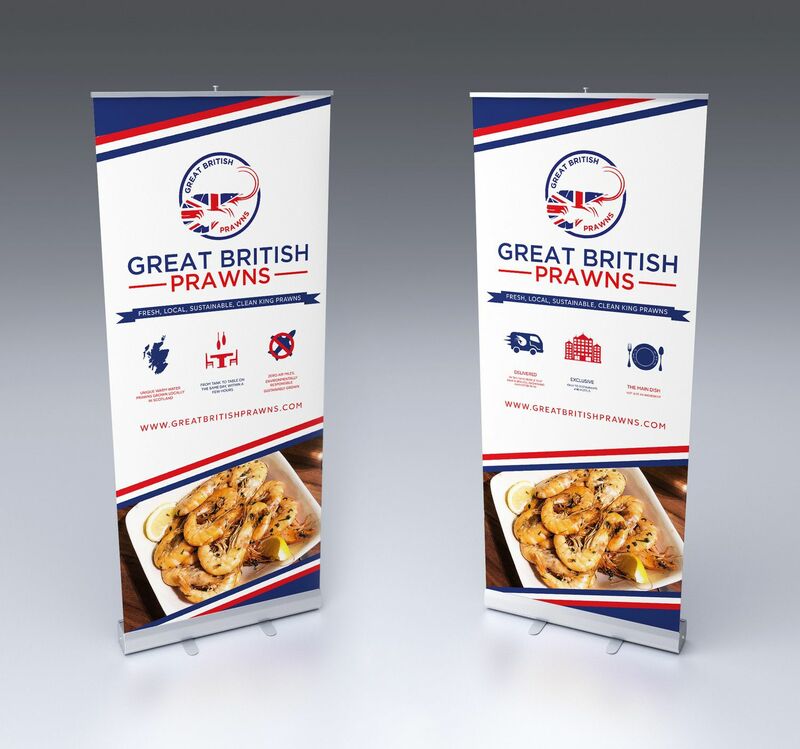 Roller banners can have huge impact at exhibitions and similar events. When you’re not taking them to events, they are good to have around your office or reception to grab the attention of visitors. Other forms of banners can be great marketing tools. For example; if you work in scaffolding, you can hang a banner from your scaffold structure to advertise your business. 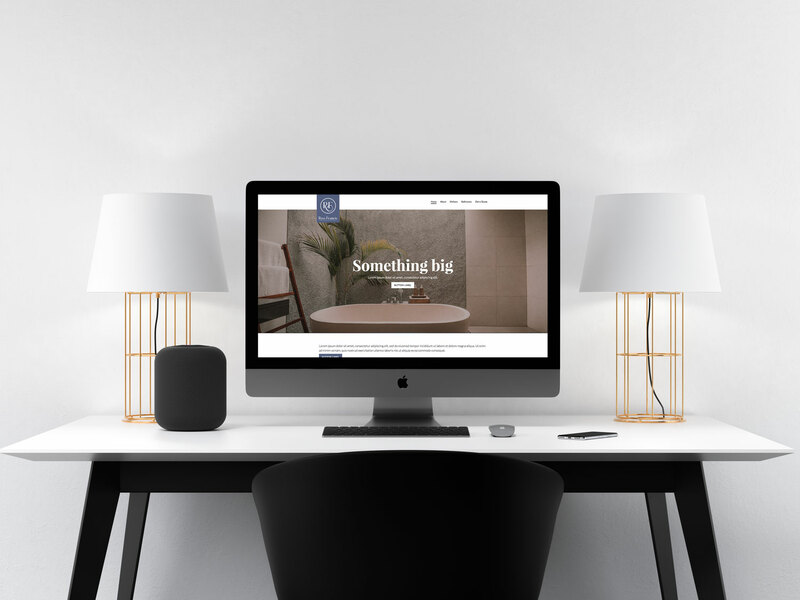 Not all businesses have a blog, but there are definite benefits to having one (especially if you’re in the creative industry like us). Having a blog on your website can do wonders for you SEO (search engine optimisation) which means that your website will appear more frequently in Google search results. Sharing informative blog posts to your social media platforms helps to build trust in your brand and helps to increase conversions by driving traffic to your website. If you do choose to have a blog, make sure that it reflects your brand and adds value by creating content that is actually useful to your customers. It might seem like there's an overwhelming amount to think about when starting your business but you don't need to have all of these straight away. Decide which ones you think will bring most value to your business right now and invest in those, and then you can build up more materials as your business grows. With expert knowledge and skills in graphic design, web design, social media and marketing, we can help with all aspects of branding and promoting your business. So, if you’re a new business owner and need some or all of these startup essentials, get in touch with us!